I forgot to mention an article I did on Europa was posted. I went around and asked committers from various projects what they thought their project offered for the Europa release. Let me tell you, getting quotes from every Europa project wasn’t easy. I don’t know if I will be able to handle it next year for Ganymede, at the current pace, Eclipse seems to be doubling the number of projects on release trains (in Callisto there was 10, in Europa there was 21). Thanks to everyone who provided a quote! 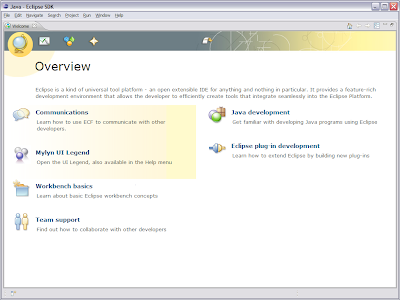 I owe you a beer at the next EclipseCon. 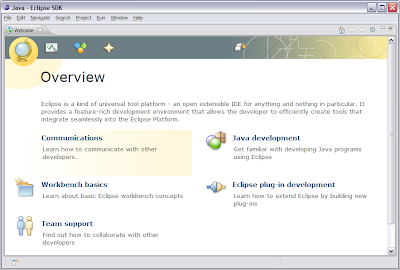 This morning I had to setup an Eclipse installation to demo Europa for some new interns and I was elated to see that some of the projects are using the updated welcome framework feature. I think for next year’s release train, we should shoot to make it a requirement for people to add welcome content to help with initial usability.